The history of human resource information systems stretches to the 1960s, when human resource data were separated from payroll systems. In the 1980s, researchers and practitioners became more interested in human resource information systems, and in the 1990s several studies, articles, user experiences, opinions and descriptions were published in journals, magazines and on the internet. Still, despite the number of literature, no survey or framework exists that constructs a synthesis of the fragmented issues of human resource information systems from both of these viewpoints, that is, information systems and human resource management. 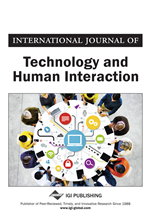 In this paper, an initial framework for human resource information systems is introduced to underline the importance and the need for consolidating the knowledge on the phenomenon. The history of human resource information systems is short in terms of both practice and research. In practice the history begins in the late 1950s with payroll systems and continues into the 1960s when the first automated personnel systems were separated from payroll systems and the data of employees was made available (Kavanagh, Gueutal, & Tannenbaum, 1990; Martinsons, 1997; Walker, 1982; Walker, 1993). In the 1960s and 1970s, only large companies could afford to invest in the hardware and software required for human resource information systems. Additionally, the computers were bulky and the software was difficult to use. At that time, the main task of human resource information systems was the record-keeping of employee data. Later, the technology was further developed and cheaper equipment as well as more versatile software for human resource activities became available (Haines & Petit, 1997; Kavanagh et al., 1990; Walker, 1993). Since the 1980s there has been debate about human resource information systems and their role in organizations (DeSanctis, 1986; Kovach, Hughes, Fagan, & Maggitti, 2002). The history of research on the topic, for its part, starts in the 1980s when researchers became interested in human resource information systems (DeSanctis, 1986; Walker, 1982). In the 1990s several studies, articles, user experiences, opinions and descriptions were published in journals, magazines and on the internet (Axel, 1998; Broderick & Boudreau, 1991, 1992; Elliot & Tevavichulada, 1999; Haines & Petit, 1997; Hubbard, Forcht, & Thomas, 1998; Kossek, Young, Gash, & Nichol, 1995; Kovach & Cathcart, Jr., 1999; Rodger, Pendharkar, Paper, & Molnar, 1998; Stroh, Grasshoff, Rudé, & Carter, 1998; Tannenbaum, 1990; Townsend & Hendrickson, 1996; Van der Linden & Parker, 1998). Various issues have arisen from these discourses and publications. In addition, some researchers have constructed models and definitions for human resource information systems (e.g., Broderick & Boudreau, 1992; Kavanagh et al., 1990; Mayfield, Mayfield, & Lunce, 2003; Walker, 1982; Walker, 1993). Human resource information systems have developed continuously and today they have their own role among other managerial information systems in organizations. However, the research on human resource information systems is still in its infancy.